It’s no surprise that Storage Wars is a hugely popular programme across the world, as it seems that the US is currently in the middle of a self-storage boom. There are many reasons for this, most of which are down to the financial crisis pushing up rents and limiting new construction, meaning people are forced to live in homes which are just too small for all their possessions. As a result, business is booming in the storage industry. Big names such as Extra Space Storage Inc have reported huge jumps in stocks, including a 33% rise in the year. So much so, other businesses are looking to capitalize on the market by opening new facilities to offer people storage solutions. Self-storage solutions are particularly helpful for those at college or who work seasonally and have to leave a place of residence for a few months at a time. Many students feel this is the ideal solution when they move home for the summer, rather than their books and other possessions taking up unnecessary space in their parents’ homes. Whilst events like moving home for the summer aren’t necessarily affected by the economy or recession, they have contributed to the rental boom for storage space. The industry itself however is somewhat recession proof – though not entirely. 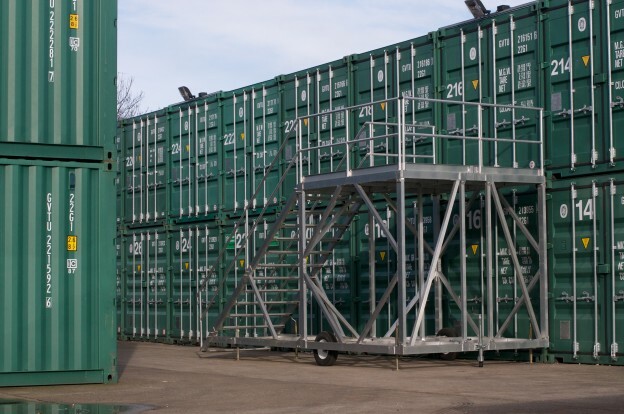 For instance a couple of the main reasons for using storage are downsizing and dislocation, which are things that tend to happen when people are looking to free up some cash due to rising living costs, or as a result of a redundancy or job change. Unlike other markets, storage rental is ‘sticky’ meaning that people are likely to stay with a facility even if they are costlier than a rival. In addition, the competition for this market isn’t necessarily other storage solutions, but rather the dumpster and a rising construction industry. Thankfully for the first, people usually find sentimental value in their possessions so that competition isn’t fierce, but with housebuilding picking back up, the storage boom may be set to plateau in the next year or so.